T-Mobile unwrapped Uncarrier 8.0 this morning with the announcement that they will let customers rollover their high-speed 4G LTE data from one month to the next. They are calling it Data Stash, but it’s really just rollover for data. The idea is that you might only use 2GB of your 3GB plan this month, so you should get to keep that extra unused 1GB and use it in the next month. Get it? It’s rolling over to the next month. 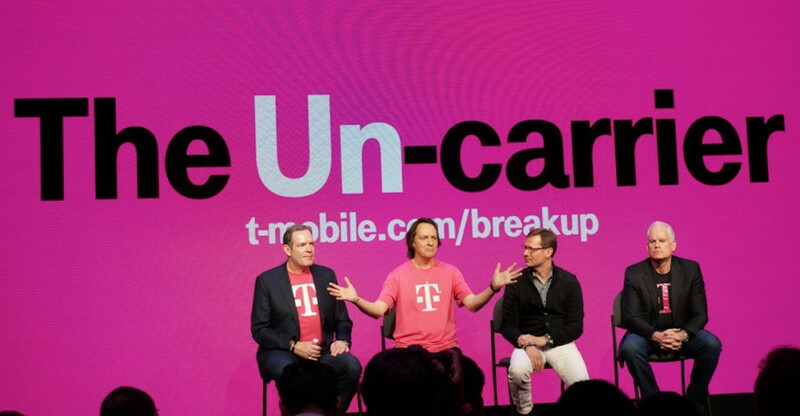 Well, in T-Mobile’s case, they are allowing you to “stash” it and then use it next month. So here is the deal. Starting in January of 2015, Data Stash (data rollover) will be automatically available to new and existing customers who are signed up for a Simple Choice plan of either 3GB or 5GB (also, tablet plans with 1GB or more). To kick start Data Stash, T-Mobile is also banking all customers on these plans with an extra free 10GB of data. Each month, as you use up the data that you pay for in your plan (the 3GB or 5GB), you will then be kicked over to your Data Stash, assuming you have some left, so that you can continue to use high-speed data. Keep in mind that even though the Data Stash kicks off in January, because T-Mobile has given you 10GB of free Stash, you won’t start banking any extra data until you use up that initial 10GB. Data in your Data Stash is good for up to a full year. * Data Stash: On-network data from past 12 months carries over to next billing cycle for as long as you maintain qualifying postpaid service. Free 200MB Mobile Internet data and roaming allotments do not carry over. Not combinable with Match Your Data offer; other promotional offers and discounts may also be excluded. Data does not begin carrying over until after free 10GB runs out. Free 10GB: Limited time offer; subject to change. Once per customer. Qualifying service required. Data available beg. 1st full Jan bill cycle; available until 12/31/15. Unused data has no cash value. All make sense? The basics are this – if you have a 3GB or 5GB Simple Choice plan, you will start banking unused data come January 2015 that can be used in the next month, but only after you use up an initial 10GB Data Stash that T-Mobile is providing you.